Historic Women Bikers: Bucking the Norms! 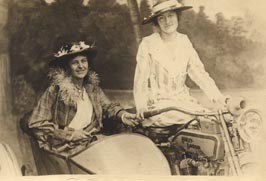 Historic women bikers have paved the way for the women motorcyclists of today. Motorcycle racing, long distance traveling... Women have done it all now thanks to them. When motorcycles were first introduced, they were a much cheaper alternative to other motorized modes of transportation, such as cars. Being a cheap way to get around, everyone rode them, both women and men. However, as Henry Ford made the Model T more affordable, the motorcycle became more of a commodity. It was becoming the luxury item it seems to be today. The population of riders shifted from a mix of both men and women to primarily men, and it became a men’s hobby, a men’s sport. Today, we have many women who have “bucked the norms” even as early as the very beginning of the 1910’s to thank for letting the world know that motorcycles are not just for men. 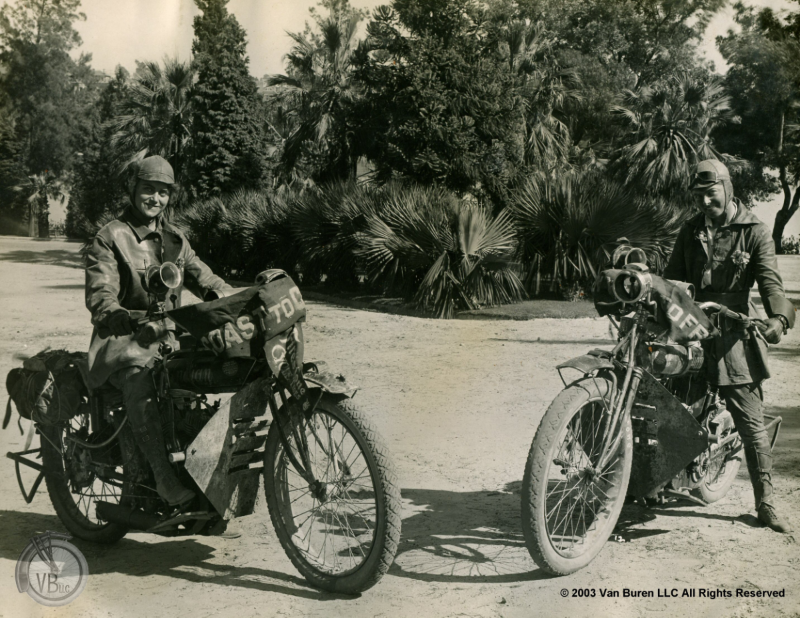 The Van Buren sisters took an Indian Power Plus from coast to coast in 1916. That very same year, they were the first women to take any sort of motorized vehicle to the top of Pikes Peak. 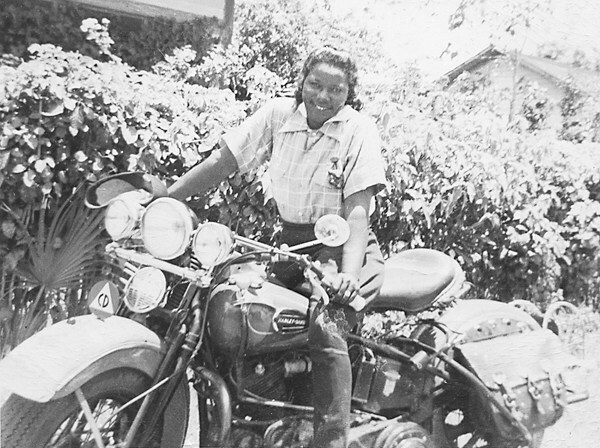 To this day, they are credited with creating the inspiration for many women to start careers in motorcycling or even just to ride a bike of their own. They were entered in the American Motorcycle Association Hall of Fame in 2002 and the Sturgis Hall of Fame in 2003. Historic woman bikers aren’t just in the United States. In fact, Theresa Whallach became known for both racing and long-distance riding in the 1930’s and 40’s. 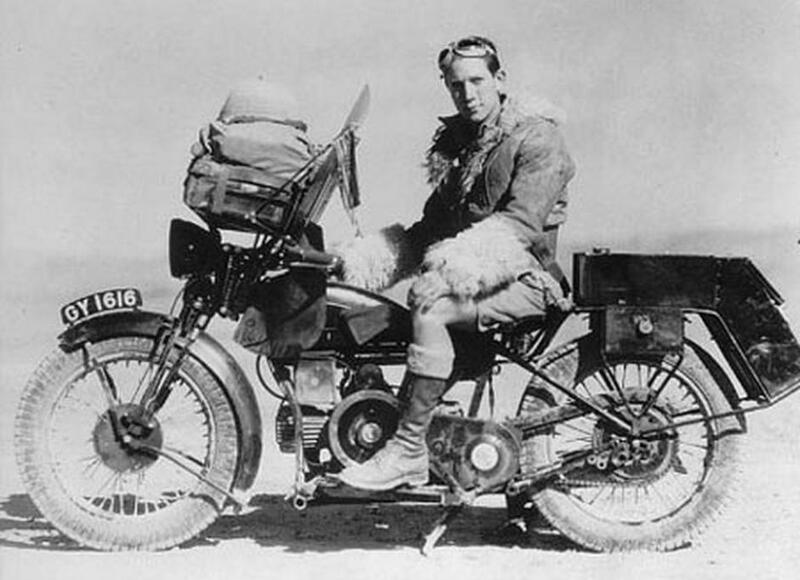 This is part of the reason she was recruited to become a motorcycle dispatch rider for the British Army during World War II. She didn’t just make waves by riding motorcycles when it wasn’t common for women to do so. She didn’t just right across the country eight times to prove she could and that women were capable of such things. She also rode her bike across the deep south. As an African American woman during the 1930’s and 40’s, this was a dangerous thing to do, but she was making a statement and she made it well. 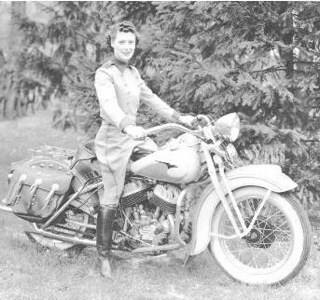 She was also an Army dispatch rider in World War II as well as entered into the American Motorcycle Association Hall of Fame in 2002. Known as “The First Lady of Motorcycling,” Dorothy “Dot” Robinson was also the first woman to win an American Motorcycle Association sponsored event. American Motorcycle Association. She was entered into the American Motorcycle Association Hall of Fame in 1998 and the Sturgis Hall of Fame in 1991. Effie and Avis Hotchkiss made a great mother and daughter team as they traveled across the country and back again. They left Brooklyn, NY traveling to San Francisco, CA and then back again for a total of nearly 9,000 miles. They rode a 1915 3-speed 11-F Harley Davidson. Avis rode in a sidecar for the entire journey, more along for the ride and to help her daughter, Avis, on a long and difficult journey. Being, at the time, the only women to accomplish a feat such as this, they were heralded as the pioneers of the motorcycle age. 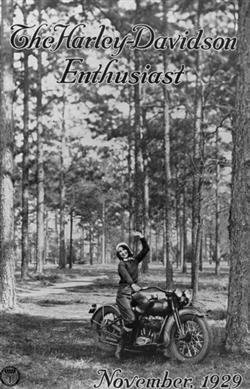 In both May and November of 1929, Vivian Bales appeared on the cover of The Harley-Davidson Enthusiast magazine. She was the first woman to ever have done so, and she had done it twice in the same year, breaking ground for women everyone to start up their bikes, travel the country, and enjoy the scenery. Her famous ride was chronicled in the magazine and is still one of the most famous rides in motorcycle history, having traveled to: Baltimore, Maryland; Wilmington, Delaware; Philadelphia, Pennsylvania; Trenton, New Jersey; Newark, New Jersey; and finally, New York City. Was it Ever Really a “Man’s” Thing? It seems the passion for getting around on two wheels never really died when the modes of transportation shifted all those years ago. Just because things were cheaper or because certain things became a luxury to have, the intensity of the excitement one feels from riding a motorcycle can be felt by all. This is especially true when you are making your way through a male-dominated activity and all eyes are on you. Today, there are more women bikers, but it is still a most male-dominated “ballgame,” so to speak.” Still, nothing should stop a woman from grabbing a bike, hearing it roar to life, and enjoying the ride.